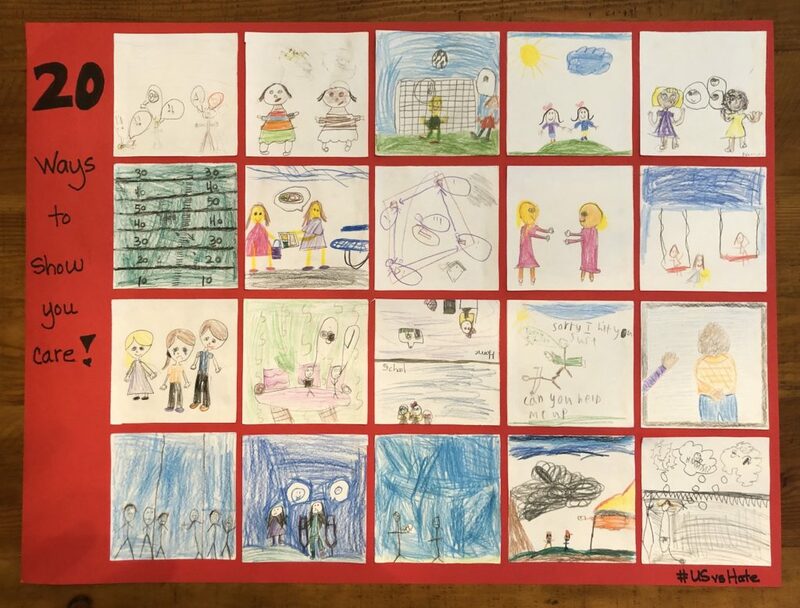 “Your words have power!” Second graders in Mrs. Kruse’s class at Lincoln Acres School in the National School District made this thought-provoking #USvsHate video (a finalist in our winter contest) that will make sure other children consider the power of their own words to include or exclude. Lessons included Words That Hurt and Words That Heal,Name Calling And Feeling Safe In School and Making Decisions Ally or Bystander, all available at http://usvshate.org/foundational-anti-hate-lessons/. 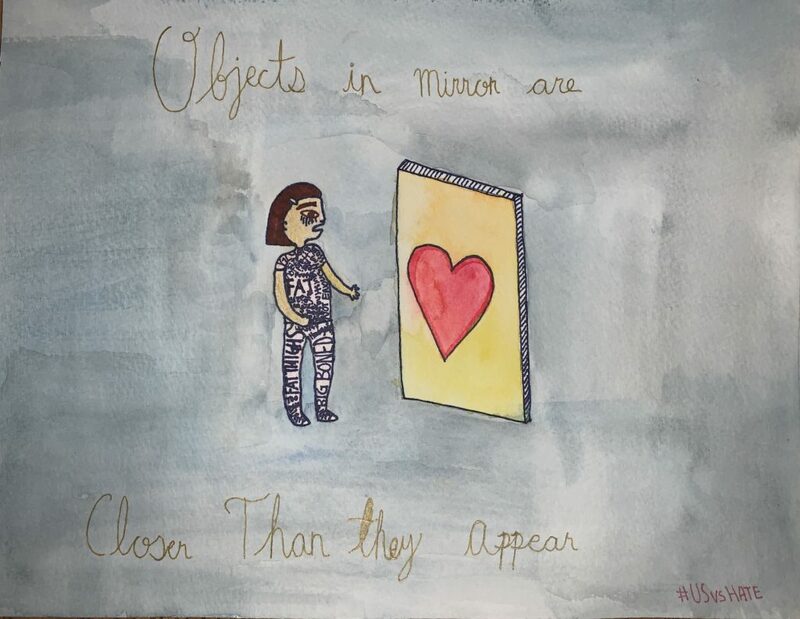 A ninth grader at San Diego High School in the San Diego Unified School District made our first anti-sexism message, a winter finalist! To us, this #USvsHate piece was a call to love oneself regardless of negative societal expectations about who women and girls “should” be. To invite this message, teacher Patrick Leka taught Facing History’s “Identity and Labels” and “Identity and Names” lessons, followed by a screening of and class discussion around Lee Hirsch’s documentary film BULLY. 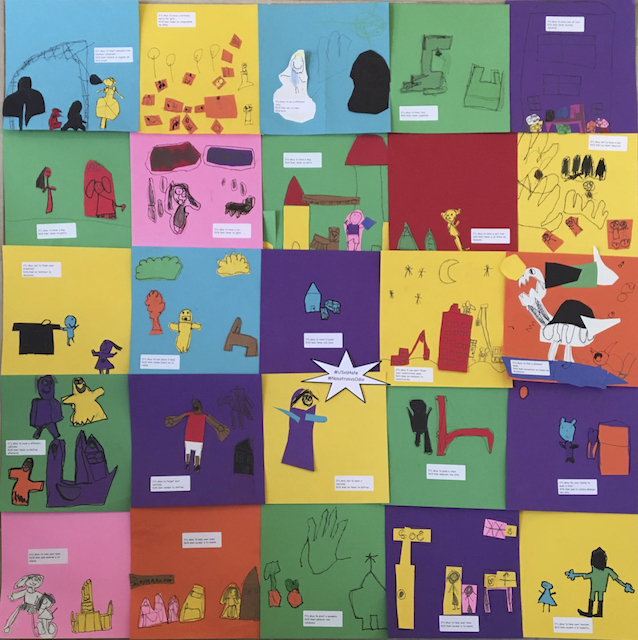 To make this #USvsHate bulletin board with students at Valley Elementary in the Poway Unified School District, teacher Ms. Plascencia-Contreras says, “Our K class read Todd Parr’s book “It’s Okay to be Different” as part of the Teaching Tolerance lesson “It’s Okay to Feel Different”. 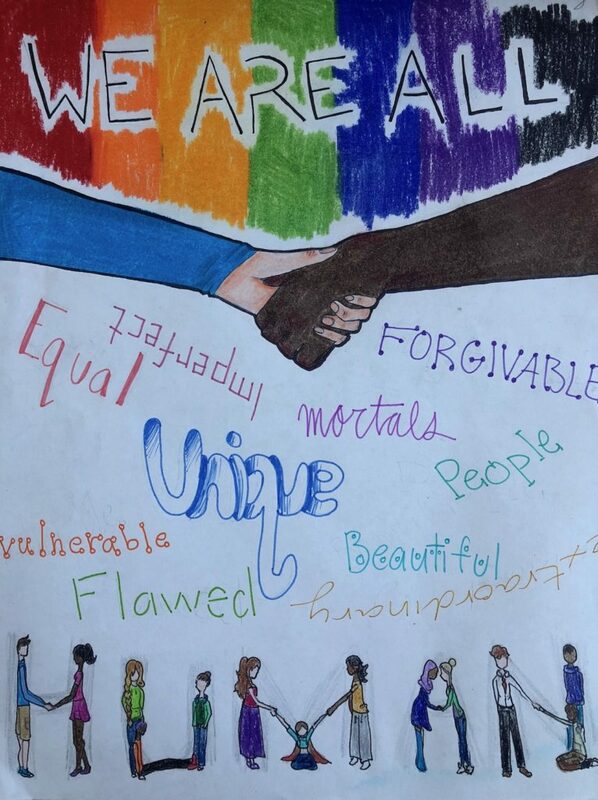 (Such lessons can be found here: http://usvshate.org/foundational-anti-hate-lessons/) Students brainstormed ideas they felt were relevant to the theme of feeling/being different and being accepted.” Their video was a Staff Vote Winner in our Winter contest!